Repeat or Revenge? 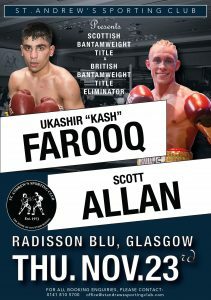 Kash Farooq and Scott Allan will meet once again at the St Andrew’s Sporting Club on November 23. 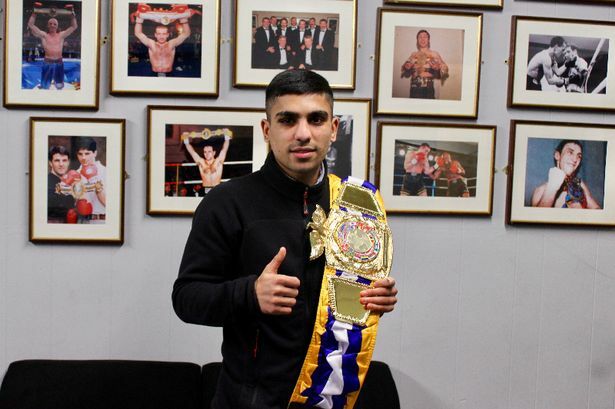 The pair will once again clash at the Raddison Blu Hotel in Glasgow with the Scottish Bantamweight title and the right to fight for the British title are both at stake.